Knowing the Numbers: What's the Average Car Accident Claim Compensation? You are here: Home / Money / Business / Knowing the Numbers: What’s the Average Car Accident Claim Compensation? Knowing the Numbers: What’s the Average Car Accident Claim Compensation? (ThyBlackMan.com) If you’ve been involved in a vehicular crash you’re probably wondering how to get compensation for your car accident. You may want to recover damages for injuries, loss of income and damage to your vehicle. You may even want to be compensated for suffering or loss of enjoyment of life. If you already know what you can recover costs for, you may want to know how much you will get. You will soon find out that there is no easy answer to this question. There are lots of variables. We will identify some of them then give you a rough estimate of how much you may be able to recover following your accident. A car accident attorney will be better able to advise you regarding your specific case and help you get compensation for your car accident. What Can I Claim Damages For? Depending on who was at fault, either your insurance company or that of the other driver may pay a set amount to fix your car. If the damage is severe, they may consider the vehicle totaled and pay you an amount based on its worth. If the other driver was at fault, their insurer should compensate you for any losses, injuries, and damage. While the cost of repairs is easy to calculate, pain and suffering aren’t easily quantified. You may not be offered as much as you think you deserve. If a loved one died in a crash, you may also be able to receive compensation. You can try to handle to the case on your own, but most people need a car accident lawyer. The insurance company will offer you the lowest settlement possible and you will need someone to negotiate on your behalf. The matter may even end up in court with a judge making the decision on how much you will get. Lawyers are accustomed to dealing with courtroom procedures and insurance companies. They know the judges and opposing counsel. They have more experience than you do in dealing with the aftermath of a car accident. Furthermore, if you in any way contributed to the accident, it will be harder to get compensation. If you want the best chance at a favorable outcome, it is best to get a lawyer. So, How Much Will I Get? As noted earlier, several factors go into calculating a settlement. Serious injuries requiring long-term treatment usually result in larger amounts in compensation. So too do those resulting in disfigurement or disability. A judge or insurance company would, therefore, consider the severity of your injuries. You should seek medical attention immediately after the crash even if you don’t think your injuries are serious. Some problems don’t manifest until much later. Make sure you have records from your doctor linking your injuries to the accident. As a rough guide, add up your medical bills, car repair costs and lost wages. Multiply that by three for an idea of how much compensation you may get. You may be able to get more if the other driver was operating a vehicle under the influence of drugs or alcohol. If your costs exceed the maximum of the driver’s insurance policy, you may need to sue them separately for the excess or turn to your own insurance company. 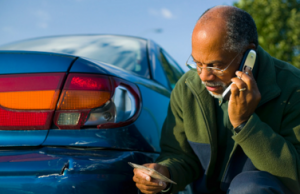 Car accidents can result in significant pain and losses. You need to act quickly in the aftermath to ensure you have the best chance of getting compensation. A personal injury lawyer will be able to help you with the process.